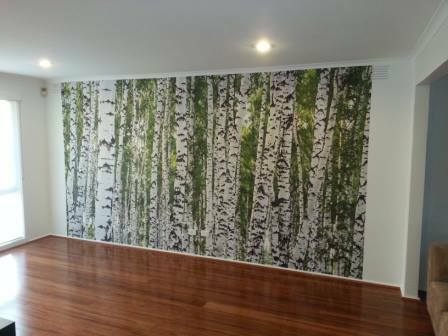 Switching from the traditional paint to wallpaper and murals for feature walls is a great way to add additional colour and texture to a room. 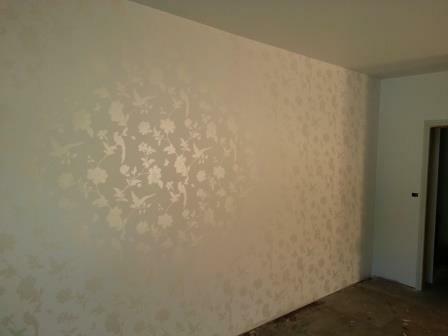 Wallpaper gives a room an individual style that a painted wall cannot match. Using an experienced qualified painter & decorator to apply these products is recommended to ensure the paper is applied straight with no bubbles and to keep the print matching across the wall with minimal wastage. 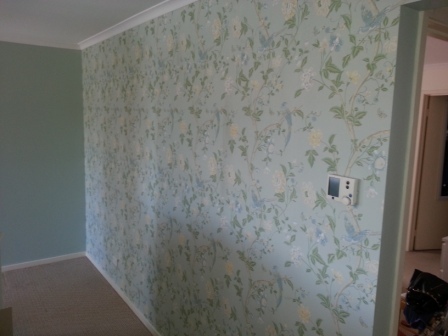 A subtle print in a lounge room with the colours matching the paint colour on the other walls. 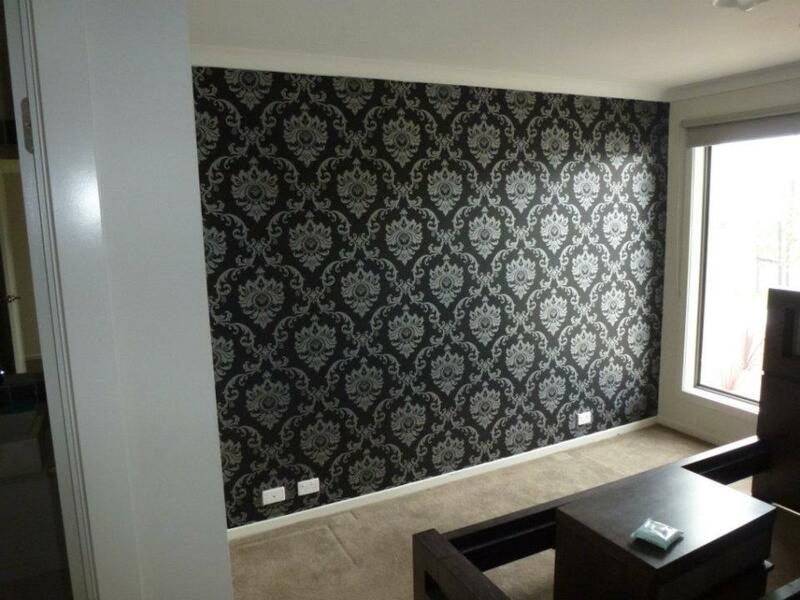 A subtle print in a lounge room with colour matching the paint colour on the other walls.